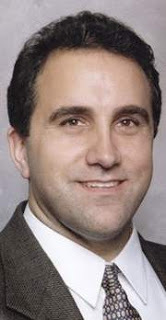 Those convinced that the earth is warming — and that such warming is going to trigger catastrophic disasters — have jumped on to the latest eco-scare that just isn’t backed by science, said Marc Morano (pictured) who runs a Web site called Climate Depot. Morano called characterized such statement as insane. “A man who can’t convince people on the science because the science isn’t there, so he’s now wishing for death, destruction on people through tornados,” he said.Morano predicted that the next “eco-fears” will include a so-called oxygen crisis — a crisis caused by a shrinking supply of oxygen on earth — and a crisis of plastic waste.Laure David, producer of Al Gore’s film on global warming, has been trying to draw attention to the issue of plastic waste, calling it “in some ways more alarming” for humans than global warming, Morano said.The conference was organized by Ron Boyer, who runs a consulting firm. He also sits on the Missouri Air Conservation Commission — though the conference was not connected to the commission.Boyer said he wanted to hold the conference because he was tired of hearing that the debate on climate change is over.”That’s not how science works. Science continues to examine,” said Boyer, who has an undergraduate degree in chemistry.Boyer said future conferences will depend on whether or not the Senate passes the Cap and Trade legislation.”If they do pass it, the debate is over because it will be a done deal,” said Boyer.But, he said, if it doesn’t pass this year there will be a chance to continue debating the science another year.John Lilly, a medical doctor and Willard school board member, said he attended the conference because he wanted to support the scientists who are trying to debunk global warming.”Those who support global warming do it for political reasons rather than actual scientific reasons,” he said.